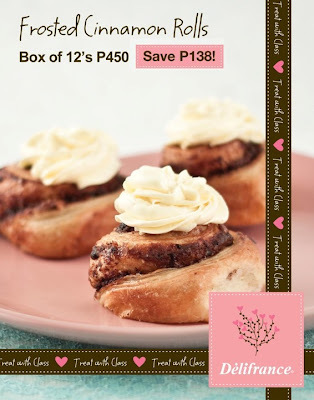 Celebrate the romantic month of love with Délifrance's sweet pastries! Indulge your loved ones with Frosted Cinnamon Rolls that are so temptingly good, beautifully topped with vanilla custard swirl. 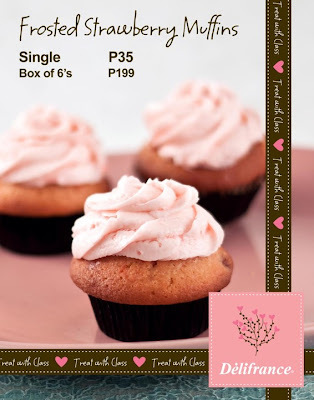 The Frosted Strawberry Muffin is also a very delectable treat, bursting with strawberry and walnuts and topped with strawberry swirl. 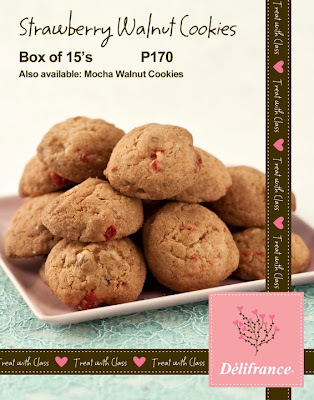 For those who want bite-sized goodness, the Strawberry Walnut Cookies and the Mocha Walnut Cookies are the gifts to give. 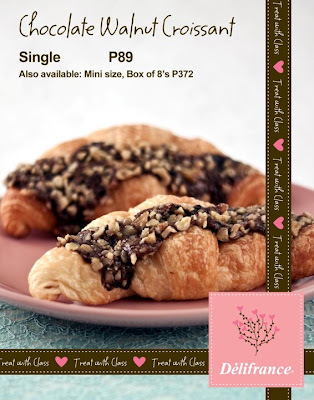 Finally, as the pièce de résistance, Délifrance’s Chocolate Wanut Croissant is a luscious crescent shaped, golden layered pastry, oozing with chocolate and walnuts. Visit Delifrance website for the Café Directory. Enjoy these luscious treats!